​Crane barge (Bertha) can carry 20 tonnes and the crane is capable of lifting a maximum of 5 tonnes (afloat). 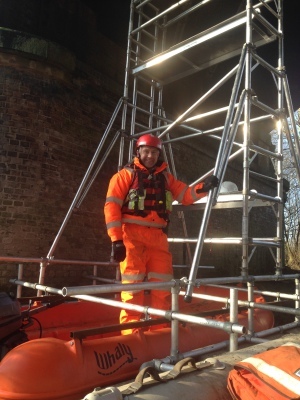 We operate on tidal and non-tidal Thames with a full public liability insurance. The crane is inspected and certificated and both tug and crane barge are licensed by the Port of London Authority. 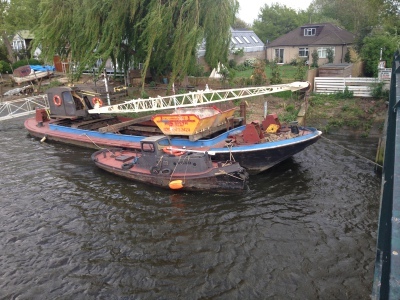 ​Our tug is primarily used to tow our crane barge, however we can also tow house-boats and other vessels as required. 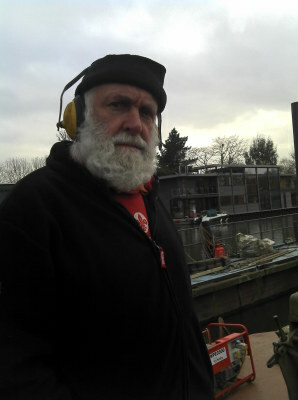 ​Pat Walsh served his time as an apprentice barge and boat builder and has worked on the river in the marine construction industry for sixty years as a sole trader. 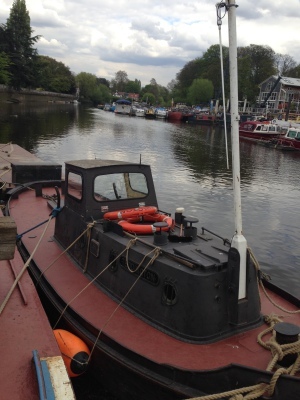 For many years the company traded out of the Cruisemaster Yard on Eel Pie Island. Pat Walsh Ltd was formed in 2013 and is based in the Twickenham Area. David Walsh has been with the company since 1994, after qualifying as a marine diesel fitter following his apprenticeship at Tough Brothers Boatyard. ​The company has a proud history of working on the River Thames, including major projects for the Port of London Authority; the Environment Agency; Nuttalls; and Walcon Marine. ​Pat Walsh Ltd also undertakes many projects for riparian owners along the River Thames, with projects including pontoon and mooring installations; flood defence and river bank protection; sheet piling; and wooden jetty structures. For 10 Years, the company was involved in the construction of the marina for the International Boatshow at the Excel Centre, on behalf of Walcon Marine.